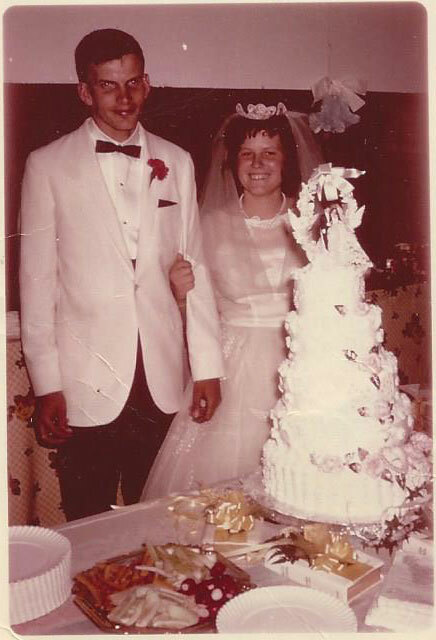 Robert and Ruthan Hawkins of Ensley Center will celebrate their 50th wedding anniversary on Friday August 21st, 2015. God brought them together at a young age, they fell in love and were married at Pierson Bible Church on August 21st, 1965. Robert grew up in Ensley Center and Ruthan was originally from Pierson. In 1967 they bought a dairy farm in Ensley Center and raised their family there and it is where they continue to farm side by side today. Robert and Ruthan’s home has always been open to those that needed a helping hand, a listening ear, or some of Ruthan’s amazing home cooking. Robert faithfully served the community for many years as the chief of the Sand Lake Fire Department with Ruthan supporting him all the way. God has blessed them with five children, nineteen grandchildren and eight great grandchildren.